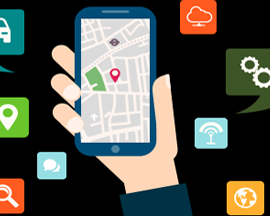 To enhance the experience of your riding back, MAADI (Mobile Application Development India) is known for developing taxi apps with exalted and enriched features. We arrive with the large database supporting more people customized in a way that matches your needs at budget-friendly prices. Designing clone apps has its own assets with more advanced features and taxi app has become a most appealing business among the users of cab service. We get your clone app that is customized according to your need and we assure for best user interface with best experience. So if you already have fleets of taxies or want to own taxi business, our solution is right next to you! Is it able to develop Uber and Lyft clone for a fixed budget of $2000? If you want your clone app within the budget you have specified, we don't assure of the promised quality of the app. Approximately, the clone app of Uber and Lyft costs more than $20k. If you actually want to re-create the app, it must be identical and unique from those that are already placed in the market and for that a fixed budget don't work. Can you explain the timeline and budget requied to develop Uber and Lyft clones? Having skilled and certified developers, we advise you with unique ideas for Swoon, Grindr and Tinder, get designed and developed as specified by you for your identical applications. We can tailor the application to create the identical app with enhanced features in the market. Will the application be compatible to work on different platforms? We not only work for native platforms, but also work for cross platform too. Our phonegap developers are ready to help you in all means and the our clone app are compatible with all sorts of platform. What should I prefer - A single app or a seperate app for both drivers and customers? Whether to have single app or separate app for drivers and customers, it is all up to you, your business environments. Many a times, businesses require that their drivers and customers get registered with a single app where as, other define for a different working style. Can the driver and customers can chat for communication? Indeed, you can add driver and customers' communication for the clone app in android and iOS. Since offline chat is not real-time, it is proved to be cheaper when compared to the online chat. Online chat can also be done by using C++ Socket programming or some third party SDK, but it requires a definite amount of cost related with it. Our inbuilt analytics feature helps you to easily calculate ROI. The driver can survey both ride and payment stats in graphical representation. This helps you to plan and expand the conversion rate of visitors.